With so many options for speakers out there, we decided to make a few guides to help with the best speakers in each size categories. When it comes to 6-inch speakers, there are relatively limited options compared to other sizes, so we want to go in-depth into a few of the top 6-inch speakers available today. Whether you’re looking for top of the line audio technology or just some entry-level, budget-friendly speakers to replace your current system, we’ve got something for you on this list. Read on to see our top choices for 6-inch car speakers. Why are there limited 6-inch speaker options? 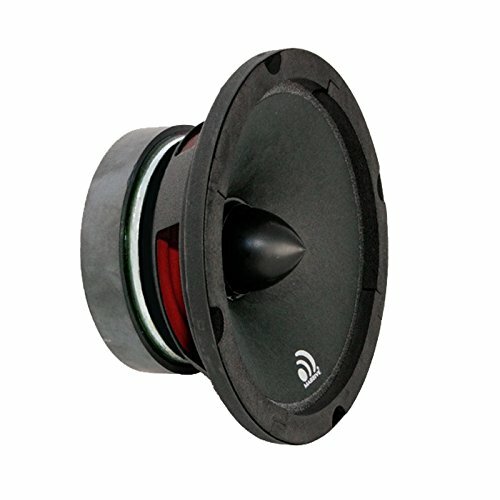 What are some ways to save money on my speaker system? Why should we trust your recommendations? Our top choice for 6-inch speakers really are the best 6-inch speakers on the market and are well worth the price. Featuring 100W of audio power per speaker and 25mm silk dome tweeters, you’re not going to find better sound quality in any other 6-inch speakers. Really the only con with these speakers is the price, but they’re beyond worth it. Even if you’re on a tight budget, we really recommend checking these speakers out for your next audio upgrade. We love these speakers for their insane sound quality and durability. 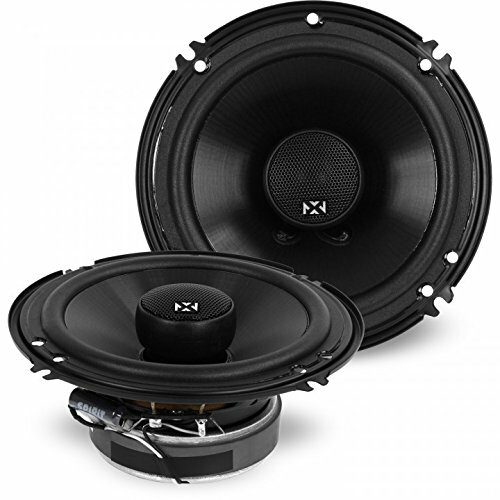 These speakers are going to exceed your expectations and blow your mind. There’s a lot of advanced audio technology in these speakers, which is why they may be a little pricier than other options on this list. Here are some of the top specs of these high-quality speakers. These are just a few of the incredible specs that come with these speakers, but you’ll just have to try them out to really experience how great these are. We love them for the quality sound at any volume level, as well as the tested durability. While they may be more expensive than some other speakers on the market, we know that they’re well worth the investment. 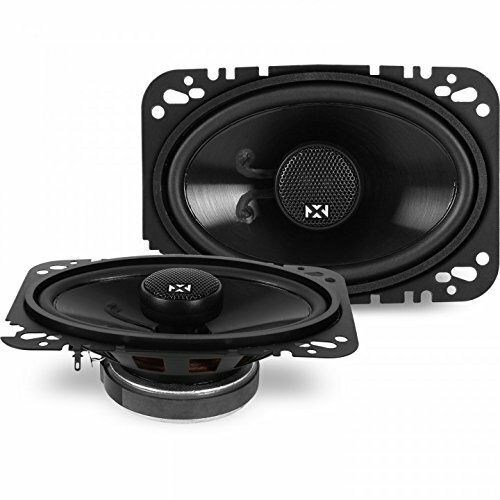 NVX really is the top of the line when it comes to speaker brands for your car. There isn’t a wrong choice when you choose a speaker by NVX! They’re priced competitively, making them a good choice for starter projects as well as advanced projects. For your next speaker upgrade, definitely check these out! If you’re looking for speakers that really push the limits of what’s possible, the Massive Audio M6 300W Midrange speakers may be just what you’re looking for. While definitely on the higher end of the price range for 6-inch speakers, the impressive 300W make these a must-buy for any audio enthusiast. For someone on a tight budget, this may not be the best option for you as just one of these speakers is often pricier than a pair of lower grade speakers. 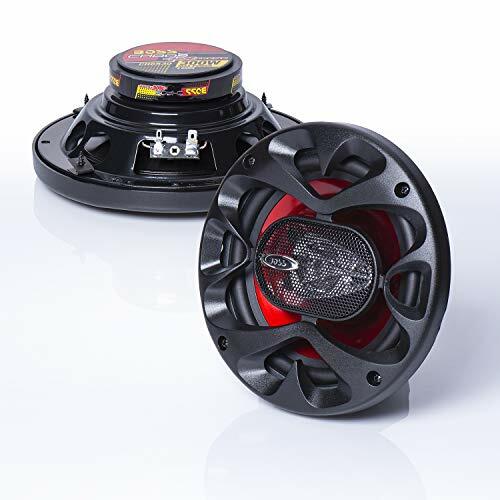 But if you want to really upgrade your vehicle’s sound system and don’t mind spending a little extra, Massive Audio makes a killer speaker that everyone’s going to notice. It’s a tough choice between the Massive and NVX models for the top spot on our list, and to be honest, you really can’t go wrong with either. Just like the NVX, the Massive Audio M6 is built to last and provide exceptional audio quality. We love the clarity at any volume as well as maximum distortion control, so you can blast your music without ruining the sound quality. For a high-end speaker that will leave everyone impressed, definitely check out the Massive Audio M6 for your next upgrade. Coming in third on our list of top 6-inch speakers is the Boss Audio CH6530 300W – the great news about this speaker is that you’ll get all of the power off a 300W without breaking the bank. The bad news, and part of the reason it is lower on the list, is because it is technically a 6.5-inch speaker. With some modification, you can easily install this in your stock 6-inch space and give your car the upgrade it deserves. We know that everyone has a budget – if your budget is tight but you don’t want to take a major hit on quality, Boss is just for you. Boss is known for making affordable, quality audio devices that perform well and last, making them well worth the investment. Featuring 100Hz – 18KHz frequency response, these speakers are versatile and powerful enough to handle anything you throw at them. Topped off with a top of the line aluminum voice coil and you’ve got a very solid entry-level speaker that will maximize your car audio. We did notice some distortion at maximum volumes, but if you’re just looking for some inexpensive replacements that still upgrade your current sound system, these are a great choice. It seems like NVX may have cornered the market on the 6-inch speaker business, which is why we decided to start and end with a quality NVX speaker. Our last speaker, the NVX 6-Inch True 80W, is a toned-down version of the first speaker on our list. It’s also less expensive while still providing that NVX quality everyone knows and loves. We love NVX speakers, and it’s easy to see why – not only are they high-quality when it comes to sound quality, they’re very long lasting and durable, so you know what you’re getting is going to last a long time. While they can be more expensive than some other models, you’re purchasing quality when you purchase NVX. Still considered an entry-level speaker, we like to think of this as a mid-level speaker that does provide some advanced features and top of the line specs. This model comes in 6 different sizes, so you can find exactly what you’re looking for. The 100W version comes in 3 different sizes, so you’re not limited when it comes to NVX products. We prefer the 100W version over the 80 for its superior audio and dedication to the 6-inch speaker model, but both options are really great for any system upgrade. Most stock speaker sizes are either 5, 5.25, or 6 x 9-inch sizes – while there are plenty of stock 6-inch sizes out there, they’re just not as common. However, every speaker on this list is crafted with the highest care and quality possible to ensure that every speaker is up to standard and exceeds expectations. From the entry-level model to the top of the line audio technology, you’re really getting quality when you purchase one of the speakers on this list. That’s a great question, and it really depends on what you’re looking to get out of your speaker system. If you’re wanting insane volume and explosive bass, a 300W+ speaker is a good option for you. It’s important to keep in mind that there’s a higher chance of distortion the louder you get with those speakers, so purchasing a speaker with better distortion control is a great way to avoid that. On the other hand, a lower wattage speaker is going to have better control over the quality of the audio. If you’re someone who wants a higher-quality audio and are less concerned with maximum volume, a speaker in the realm of 100W – 200W is perfect for you. You still get enhanced volume without the need for over the top audio power. You’re going to get great audio control with less chance of distortion. It’s hard to say what is ‘better,’ because one really isn’t better than the other. It all depends on you and your vehicle, so doing research is essential before making any purchase! The great news with our speaker recommendations is that we strive to recommend something for everyone – just because you have a tight budget doesn’t mean you have to sacrifice quality at all. The first step to saving money on your speaker system is by simply looking for an inexpensive unit that still provides what you need, which we hope to have covered with this list! If you’re handy, there’s another way to cut back on your speaker system costs – installing the speakers yourself. Labor can be a big cost of the system, so installing it yourself can really cut back on costs. If you’re looking to install it yourself, you can take that money and invest it in a higher-end unit from the beginning, so it may be worth learning how to install speakers in your vehicle! If you aren’t comfortable with removing the old speakers and installing new ones yourself, we always recommend hiring an expert. We definitely don’t want you to damage your car’s electric system or your new speakers just to save some money. Simply put, we love everything that has to do with vehicles and want to share our expertise with you. We are consumers just like you, so we think it’s only fair to create an expert resource that buyers can use to make informed decisions about their speaker purchase. By taking the time to really research the best speakers on the market, we take the frustration out of shopping around by creating these handy guides that provide thorough, relevant information that will help you make a purchase decision. If you like what you’ve read and want to learn more about the speakers or purchase them, simply click the link on each product description and it will take you straight to the product page on Amazon! While it may seem like the 6-inch car speaker arena has fewer options than most, that doesn’t mean you can’t find a quality speaker for a great price. In fact, you can’t go wrong with any of the purchases on our list – there’s a reason we included them! We know what it takes for a speaker to be truly superior, which is why we only recommend the best products to our readers.